Trevor’s brother Matt makes his Catching Up Cinema debut in this special “Triple Threat” review! 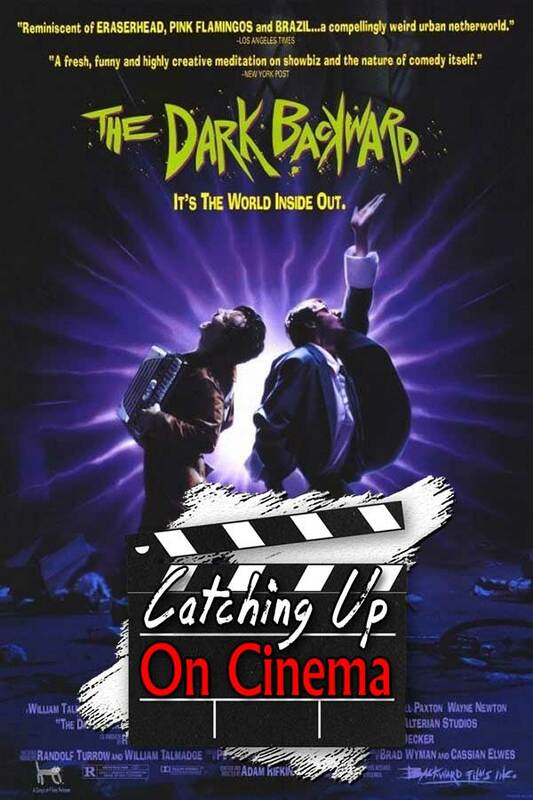 Matt makes the most of his guest spot by having Kyle and Trevor catch up on Adam Rifkin’s bizarre and largely forgotten, The Dark Backward! Judd Nelson with a 3rd arm! Necrophilia! Disappearing/reappearing mustaches! A world owned by a pork company!